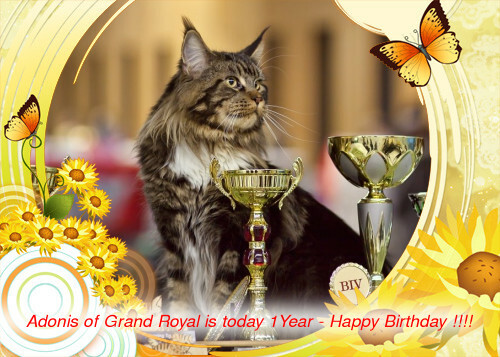 MY SWEET YOUNGSTAR ADONIS OF GRAND ROYAL IS TODAY 1 YEAR OLD!!! Congratulations from me, Fany and Ginny!!! !